Abbas To UN: "End This Settlement Occupation"
On Friday, September 26, Palestinian president Mahmoud Abbas told the United Nations General Assembly, "The time has come to end this settlement occupation." 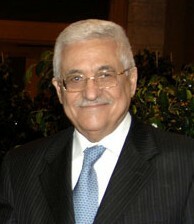 The New York Times described Abbas as "visibly enraged" when he spoke to the General Assembly. "The negotiations with Israel, as they have been held until now, are over; forget about the Palestinians returning to them. Forget about the Palestinians continuing to meet and discuss while Israel continues to construct settlements and ignore even the simple commitments it agreed to, such as the release of prisoners." "The Palestinians will not return to any negotiations that do not take as a starting point the final objective of a Palestinian state to stand alongside Israel, based on the '67 borders, and a binding timetable for its establishment." In his address directed to the west, Abbas used such words as "colonialist occupation," "racism," "a war of genocide," massacres, and a nation above the law." "Chairman Yasser Arafat of the Palestine Liberation Organization made a dramatic appearance before the U.N. General Assembly and called on the world community to decide between an 'olive branch or a freedom fighter's gun.'" It was the first time a Palestinian leader had been invited to speak to the UN body. 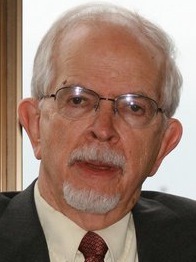 Neff described Arafat's presence as a "watershed for the Palestinian community." Neff's report ran in the November/December 1994, edition of the Washington Report on Middle East Affairs 20 years after Arafat's speech and 20 years before Abbas's "visibly angry" address. Neff's report is an indication of how little has changed in the colonial scenario in which the United States stands watch over, and finance, Israel's illegal takeover of Palestinian lives and land. "The United States and Israel had opposed Arafat's  appearance, as they had for years fought against recognition of Palestinians as a separate people. Washington and Tel Aviv insisted that the Palestinians be identified by their function or position such as refugees or terrorists rather than as a people."